Imprint these light-up tumblers – 24HR! This tumbler features multicolor lights and a cracked ice design. Multicolor LEDs feature eight different light settings to choose from. Lights color through the cracked ice and provide a great backdrop for your imprint. 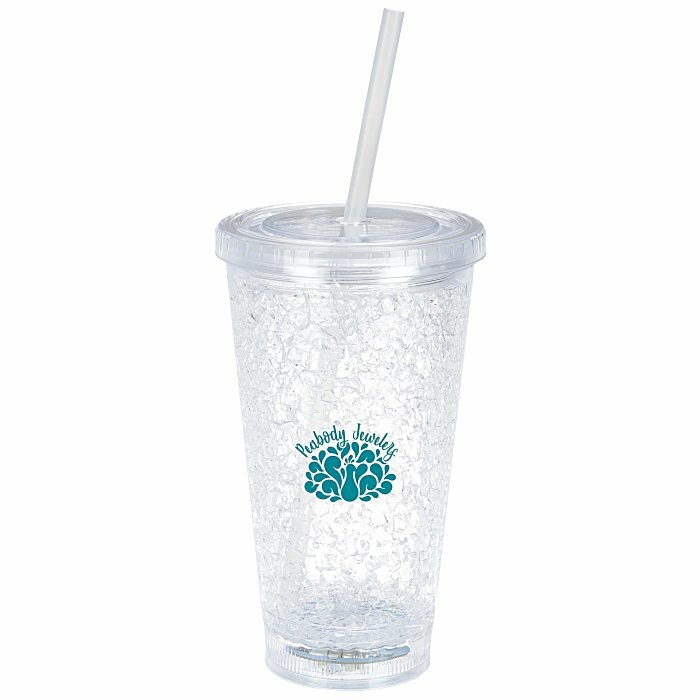 Made of double-wall acrylic with a screw-on lid and a reusable straw. Includes three replaceable AG13 batteries. Your price includes a one color imprint on the side of the cup.